Update, April 21st, 2018: at the April 20th Town Hall meeting with Ebbe Altberg, it was indicated that the new first name / last name system might be a Premium only benefit, or that if generally available to all users, that Premium account holders will have some advantage in using the capability over Basic account holders. Please refer to the audio of Grumpity Linden’s comments from that event appended at the end of this article. Update, March 28th, 2018: further information was provided at the Web User Group meeting on this date. This information has been appended to the end of this article. Note that the audio extracts draw together related comments voiced at different points in the session, as Oz addressed questions. I hope that presenting them in this way, rather than just chronologically as they came up at the meeting, helps to present a clearer picture of what is being planned. As the original blog post indicated, the return of last names will be coming later in 2018 – not in the immediate future. There are some back-end changes to SL which need to be made before last names can make a return, so it would seem like “later in 2018” users might be read as “late 2018”. That is not something that we’re going to be able to deliver real quickly. Don’t look for it in the next few weeks. But it is on the road map for this year, and we’ll try to make it better than the very end of the year, but there are a couple of things that have to get fixed on the back-end before that can work. With the introduction of this system, Agent IDs will become the primary means of link names to avatars. As noted below, this means that those scripting items which require avatar details, and who don’t use Agent IDs might want to start thinking about revising their scripts to do so. The list of last names will be routinely refreshed. The Lab is considering accepting suggestions from users. If you can remember someone’s previous name, you can search on that and get their current name. Users will be able to switch back to previous names they have used, as well as select new names as the list changes. The first name / last name capability will not replace Display Names1. This has no effect on display names and largely I do not anticipate we will change how display names work. If anything, it somewhat sunsets the need for them. There will be a fee associated with changing your name (which has still to be determined). The fee is liable to be “large enough” to prevent people simply constantly changing name just to use the “good names” up. Given this change is coming, scripters who have a need to same avatar details should start to consider doing so by Agent ID, not first name / last name. The Lab will most likely provide an API for resolving first name / last name into a valid Agent ID. In the forum thread, Patch also reiterates the uniqueness of first name / last name combinations, as noted above. Patch Linden, March 22nd, forum thread. I’ll have more on the return of Last Names as information becomes available, mostly like much nearer the time the feature is ready to deploy. In the meantime, Patch may post further information on the forum thread, so it might be worth keeping and eye on that. Intimation that the name change capability might be a Premium-only benefit. Indication that if available to Premium and Basic, Premium members will have an (at the time of reporting) unspecified advantage over Basic account holders. Oz indicated that Display Names will not be replaced due to the work involved in removing the functionality. It’s also worth noting that – depending on the fee levied for name changes – people who have multiple characters associated with their avatar for role-play, etc., and so frequently change their name, might find using Display Names remains more convenient / cost-effective means of doing so once the first name / last name capability is deployed. 1- names can be suggested. 2- reviewed by the residents with an eye to compliance with a set of rules (ie. no living celebrity names). 3- potential unanticipated drawbacks to a name called out. This would give LL a pre-vetted list of name to quickly dip into, and give residents a fun chance to help. Very interesting. Something has already changed: yesterday I searched myself with “resident” and I couldn’t find myself. Just with name, no surname. AFAIK there have been no changes – but search is fussy. For example, the SL official viewer’s search (the “Websearch Tab” in v5 TPVs) will generally search with or without “resident” (as will the search option when buying gifts through the Marketplace). However, the legacy People search in some TPVs does not recognise “resident” as a valid last name. What’s viewer you use, John? I use Firestorm and until the day before yesterday I could search my name with “resident” (and not just my name, but also many other ones). Firestorm and its been this way for awhile, in terms of searching or inviting peopl eto groups. Some of the things on that original list have been in the works for months, much-reported on by you and others, and will depend on on both viewer and server-side changes. Third-party viewers seem to have lagged badly over the last year, but at least I have two TPVs that work on this Linux box. The official viewer, even before support ceased, wouldn’t work. I think I shall be very lucky to see any of these new “new” features in 2018. The already in-test “new” features, such as animesh, might make it into use. I am wondering just what is behind this sudden outbreak of hype for Second Life, which seems to be what is paying the bills for the rather sluggish-seeming development of Sansar, which appears to depend on expensive Windows boxes, insanely-priced graphics hardware, and internet connections that will have to break the light-speed barrier to get acceptable ping times. Figures I have seen for “good” VR imply you need to be close to the servers. 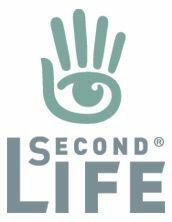 Second Life is accessible to most of the internet. Sansar may be accessible, but not usable as VR. And, if you have to use it on a 2D screen, what’s the point? Actually, roughly the same amount of “point” as Second Life. I don’t have a VR headset, but I’m in Sansar on a weekly basis running it in Desktop Mode, both attending meetings and exploring experiences. Granted, it has a long way to go to get to anything like parity with a lot of SL’s capabilities – but that doesn’t entirely negate the value of a lot of Sansar’s more engaging experiences. So we are going to have to pay to change our last names. Did I read this correctly? The will be a fee levied for changing names (first and last), yes. How much is TBD, but think of it as another part of the Lab’s efforts to pivot revenue away from the dependency on land tier so that hopefully and and some point, the latter can be reduced. That may actually be the main use case if Display Names were able to be changed on the fly, as one wished (or at the very longest delay at least once per hour), and preferably via script so you could attached certain display names to certain avatars. As it is the display name limitations make their use unfortunately largely unusable for this purpose. True, there is the 5-day wait – but it is something people have adjusted to. Ergo, it may remain preferable for some over paying a fee – depending on what the fee eventually is, of course. Meh. Still won’t be useful at all for me. I doubt “Dreclin” will end up on the list, and I wouldn’t really want other people using it anyway. They should just let people make their own last names, maybe pay extra for it. When I joined Second Life more than 10 years ago I had to pick a last name from a list of about 20 or 30 names and decided for “Maurer”. Up until today you know that those wearing the last name Maurer come most probably from Germany and as the list of offered last name changed you can also suspect their potential rezz date. Then Linden Lab disposed the last names in Second Life and we first cracked jokes about the fast growing “Resident family”. But as it is with many changes we got used it with the years. Nowadays having a last name clearly indicates that you’re an oldie in Second Life. Now I read in Inara Pey’s blog about Linden Lab’s plan to reintroduce last names and what problems are to be solved with the return of last names. For me it was quite interesting and I wanted to share it in this blog. I just wish I could change my current username. It’s absolutely embarrassing to look at whenever I log on. Sources are cited in the article. I am use to my name and it is who I am. Maybe I will drop the ‘resident’ bit but it doesnt bother me. late as usual but when does this take effect? All things being equal, later in 2018. There are a number of back-end support elements that need to be put in place first. The idea behind charging for name changes – as well as other plans, such as possibly introducing new Premium subscription levels, re-balancing transaction fees, etc., is to provide the Lab with alternate revenue sources so they can hopefully do what everyone has been asking for over the last 10 years – reduce the cost of land tier.